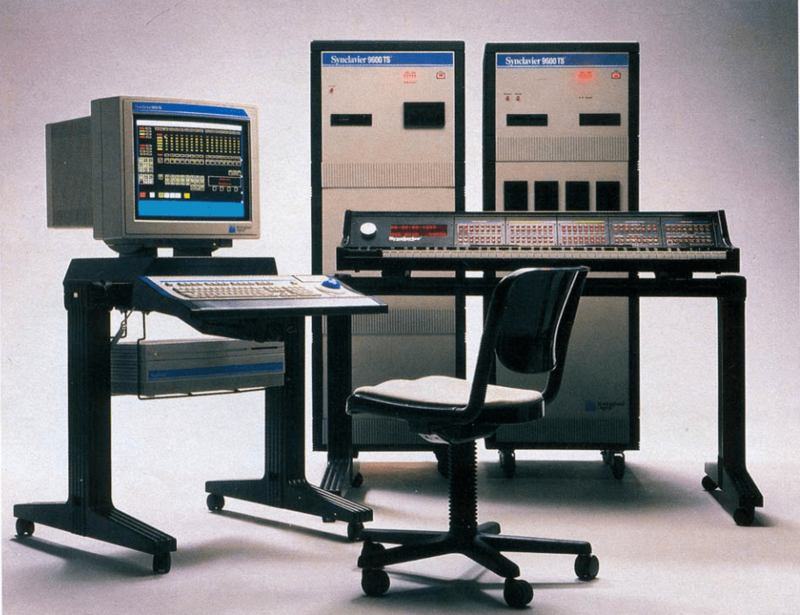 The Synclavier I was the first commercial digital FM synthesiser and music workstation launched by the New England Digital Corporation (NED) of Norwich, Vermont, USA in 1978. The system was designed by the composer and professor of Digital Electronics at Dartmouth College, Jon Appleton with software programmer, Sydney Alonso and Cameron Jones, a student at the time at Dartmouth School of Engineering. 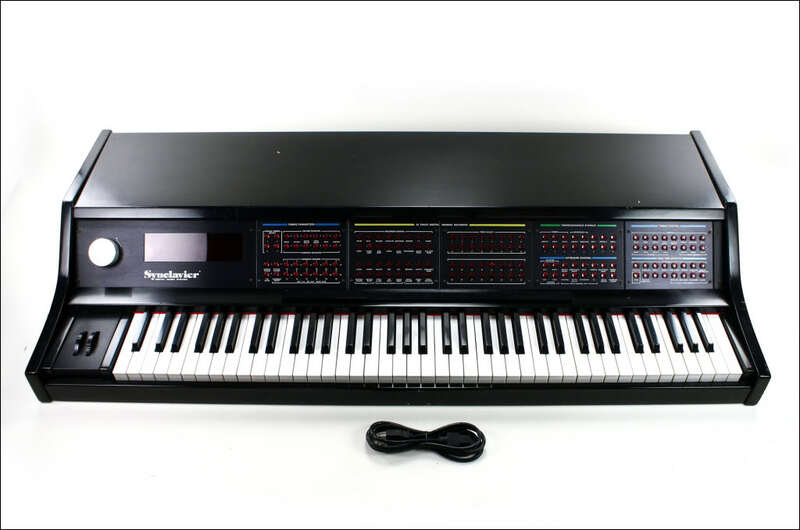 The origins of the Synclavier began when Cameron Jones and Sydney Alonso started to develop software and hardware for electronic music for John Appleton’s electronic music course at Dartmouth. After graduation Jones and Alonso developed a 16-bit processor card and a new compiler to create their ‘ABLE’ computer, NED’s first product, sold to institutions for data collection applications. The first musical application developed by NED was the ‘Dartmouth Digital Synthesiser’ based around the ABLE microprocessor which was released as a production model Synclavier I in 1977. The new device was intended as a fully-integrated, high end music production system rather than an instrument and sold for $200,000 to $500,000, way beyond the reach of most musicians and recording studios. 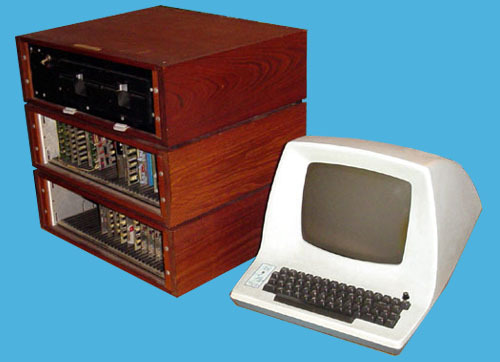 The instrument was controlled by a standard ‘ORK’ on-off keyboard and edited by the same DEC VT100 (later a VT640) computer as well as via a distinctive set of multiple red buttons (the same lights used in B52 bomber aircraft, chosen for durability) and rotary dial that allowed the user to edit straight from the keyboard and get visual feedback on the state of the instrument’s parameters. The keyboard was soon replaced in the new PSMT model by a ‘VPK’ weighted, velocity sensitive manual licensed from Sequential Circuits (the same keyboard as the Prophet T8) that dramatically improved the playability of the instrument. 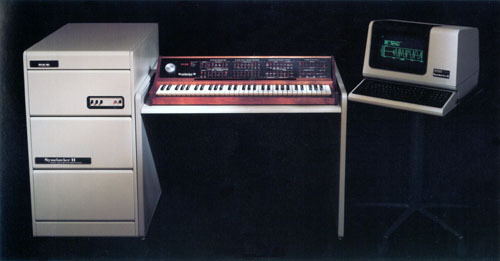 Despite it’s popularity in recording studios the Synclavier inevitably succumbed to competition from increasingly powerful and cheaper personal computers, MIDI synthesisers and low cost digital samplers. New England Digital closed it’s doors in 1992, many of the company assets purchased by Fostex for use in hard-disk recording systems. In 1993, A new Synclavier Company was established by ex-NED employees as a support organisation for existing Synclavier customers.